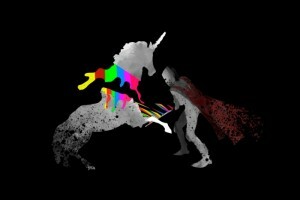 This is another case of unicorn slaying. Lets see how this slay unfolds. Recently Spotify issued a $1B convertible debt from TPG, Dragoneer, and Goldman Sachs clients. We will call them the VC mob (VCM). If no IPO within 1 year, the carnage, oops, I mean the discount increases 2.5% and the interest on the debt (5%) will increases 1% maxed out to 10% every six months there after. VCM can sell their shares 90 days after IPO. Spotify employees are locked up for 180 days zombiefied. What this means is Spotify will IPO ASAP. The race to zero first reported by The Wall Street Journal. Treveri Capital specializes in risk management for executive liquidity of pre-IPO companies. Information contained herein is for informational purposes only and should not be construed as an offer, solicitation, or recommendation to buy or sell securities, or personalized investment, tax or legal advice. The information has been obtained from sources believed to be reliable; however no guarantee is made or implied with respect to its accuracy, timeliness, or completeness. Authors may own the stocks they discuss. The information and content are subject to change without notice. TreveriCapital LLC is a California registered investment advisor.